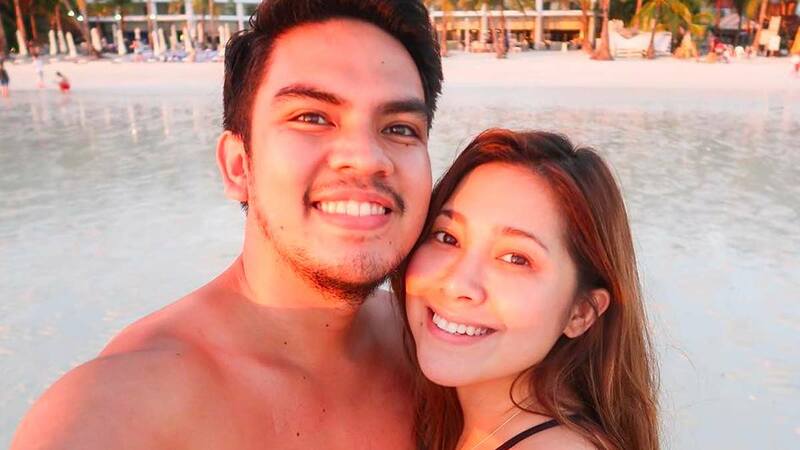 OPM singer-songwriter Moira Dela Torre and her new hubby Jason Marvin Hernandez tied the knot during a romantic outdoor ceremony in Tagaytay on January 14, and until now we're not done gushing about their wedding (Moira actually sang her wedding vows)! Yesterday, Moira posted a photo of them on board a kayak, surrounded by amazingly clear blue water, and wrote, "I really like this marriage thing... but I like this kissing kissing more cheret! I love u my asawa! Last honeymoon day today before going back to work!" Wondering what Moira was referring to? Earlier in January, the couple revealed that they waited two years to kiss for the first time because Jason promised Moira's dad that they would have their first kiss on their wedding day!